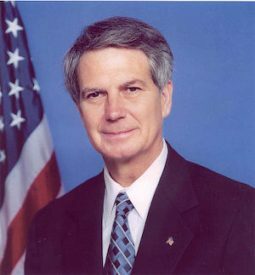 Rep. Walter B. Jones, Jr., a 13-term U.S. Congressman representing Eastern North Carolina’s 3rd Congressional District, passed away Sunday on his 76th birthday. I will always remember Rep. Jones as a man of deep faith, true kindness and principled independence. He was also “a man of the people” who cared deeply for his constituents, especially those in the military. One of my favorite experiences with Walter Jones took place in 2007. That year, a bill had been introduced in the U.S. Congress to grant the Lumbee Indian Tribe full federal recognition. While the NC Family Policy Council was not opposed to the Tribe receiving full federal recognition, we were opposed to the fact that full federal recognition would inherently grant the Tribe a right to pursue gambling operations in the state (i.e. a potentially massive gambling casino along the I-95 corridor in Eastern North Carolina where the Tribe is based). We heard the bill was likely to move, so we quickly began contacting members of North Carolina’s congressional delegation to express our concerns. Rep. Jones happened to be on the House Committee through which the bill would pass, so I reached out to the staff in his D.C. office to discuss the matter in further detail. After spending several hours that morning on the phone with his staff and sending background research and information, I decided to take a break and walk across the street to the Kroger grocery store to get some lunch. As I entered the store, whom did I see in the checkout line buying a 40-pound bag of dog food, but Congressman Walter Jones himself! Not one to believe in coincidence, I hurried over, said a quick greeting, and then told Rep. Jones what I had been working on with his staff in Washington. After a brief conversation, he said he shared our concerns and would work to draft up an amendment that would prohibit the Lumbee Tribe from pursuing gambling operations should the full federal recognition bill be enacted into law. True to his word, when the bill was heard in the House Committee, an amendment was offered to expressly prohibit the tribe from conducting gambling operations. The Tribal leadership even publicly agreed to the measure. Although the bill never passed, the prohibitory language crafted by Rep. Jones has became a “boilerplate” provision in almost every version of the Lumbee Recognition Act that has been introduced since that time. Of course, I was extremely grateful for Rep. Jones’ responsiveness to our concerns about gambling proliferation in North Carolina, but I was even more grateful for the accessibility and deep care he exhibited—not only in this instance, but always. Please join NC Family as we remember Walter B. Jones, Jr. and pray for God’s comfort for his family, friends, staff and constituents.